Lao Coffee and Pah Thawng Ko for breakfast in Vang Vieng, Laos. I’m not a regular coffee drinker and might have a cup or two during the weekend. 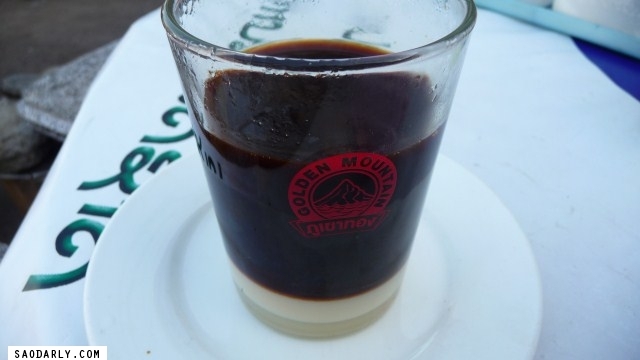 But when I am in Laos, I like to treat myself to Lao Iced Coffee once or twice a week. 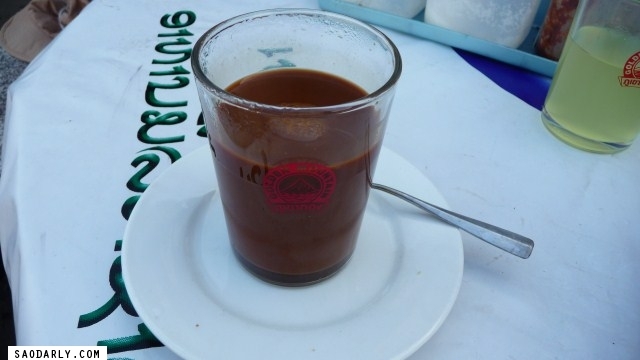 Now and then I would have a hot Lao Coffee with Pah Thawng Ko for breakfast due to my Mama’s request. 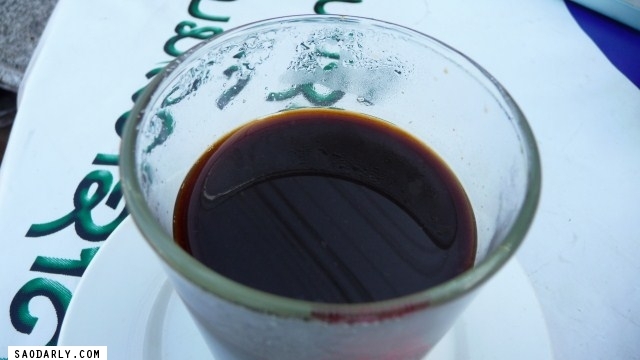 She loves to drink Lao coffee and would bring back a suitcase full of Lao coffee beans from Paksong to the USA. I bought couple of Lao Organic Coffee bags at the Vientiane Organic Farmer’s Market but haven’t had a chance to try it yet. 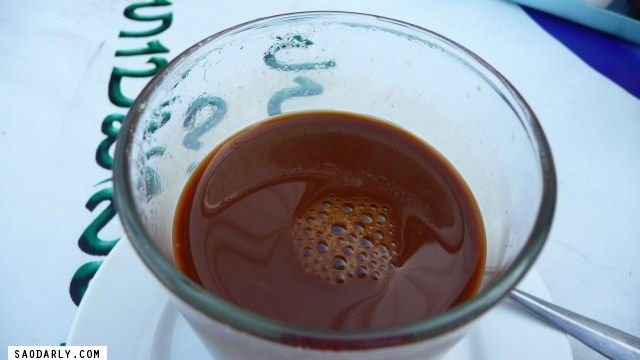 I’m thinking about making a glass or two of Lao Iced Coffee on a warm summery day. I just need to buy a can of evaporated milk first. 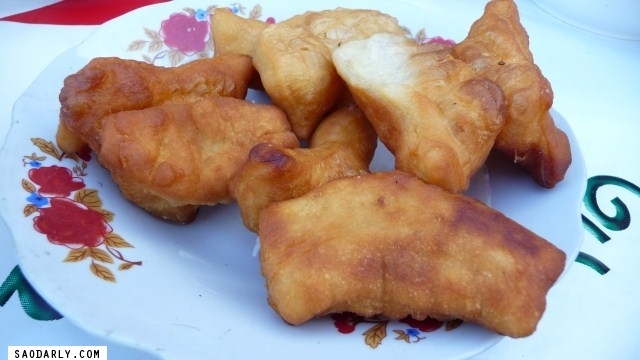 Is there any way you can PLEASE email me instructions & the recipe for making Pah Thawng Ko? PLEASE!!! I’ve seen the frozen packages @ the Vietnamese market but just haven’t bought & tried them. Thank you/kop jai!! There are videos on Youtube that show how to make it in Thai language. You can check out this video on how to make Pah Thawng Ko and see you can follow it and search for other ones. I saw a mix that you can buy at an Asian store under the brand Tippy and maybe you can find one at a Lao/Thai grocery store in your area or even a Chinese grocery store. A package said you can make like 60 pieces.